Size: approx. 12 mm. Photo: 11/20/11, 8 pm. 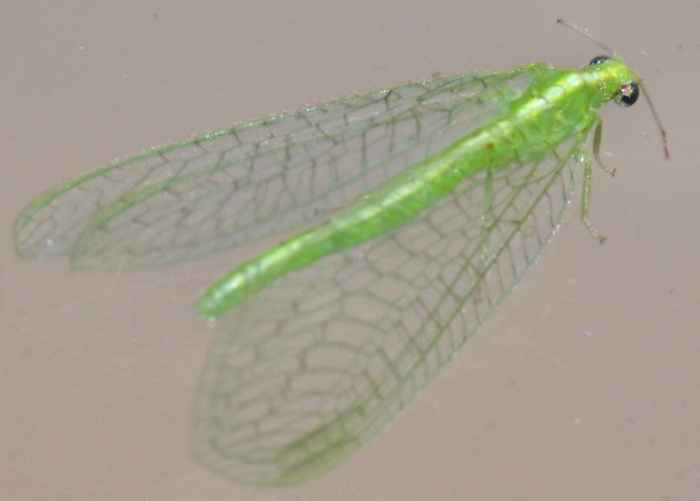 This green lacewing genus has eight species in North America. They are difficult to distinguish but can be readily identified based on their vibration signals used to attract mates. Members of this genus Chrysopa are very common in North America and Europe. Not the best photo but I will keep it for the time being.